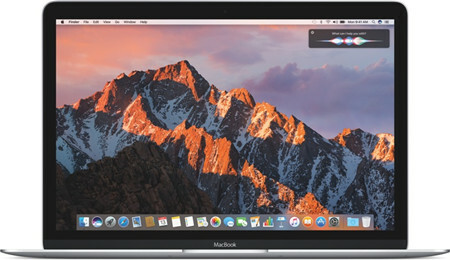 The highly-anticipated OS X 10.12 was officially revealed as macOS Sierra at the Worldwide Developers Conference (WWDC) in June 2016. As we experienced in the move from OS X 10.10 Yosemite to 10.11 El Capitan, Sierra isn’t just bug fixes and performance updates—it’s a complete sequel to last year’s update. When you choose the best DVD ripper software on Mac OS, quality is quite the prime concern. Without a question, everyone would like to spend their money on the app that can produce video with utmost quality. Why need a DVD ripper for Mac OS Sierra? 1. It allows you to backup DVD to storage devices. For example, to backup DVD to WD My Cloud Mirror, you can enjoy movies in bedroom, bathroom, or kitchen etc. Besides, you can backup DVD to External Drive to enjoy movies on laptop while traveling. What is more, upload DVD to QNAP NAS can allow you share movies with your family. 2. It allows you to copy DVD to gaming console, such as Sony PS4. So you can enjoy DVD movies on projector via PS4 through HDMI connection. 3. 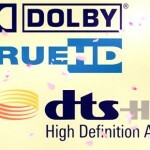 It allows you to rip DVD to set-top streaming box or media player for watching DVD movies on Sony/Samsung/LG TV etc. For example, you can watch DVD movies via Kodi on Samsung TV, or to watch DVD movies via Apple TV. 4. It allows you to remove all DVD copy protection, region code, Disney code, Sony code etc for watching on all media players freely. 5. Backing up DVD in digital format to protect DVD from scratching, damaging, losing etc. MacX DVD Ripper Pro is perhaps the most outstanding no-frills but functional Mac DVD ripper software in the market, with DVD decrypting ability, speed and quality outranking other competitors, thanks to its unique DVD analysis technology, multi-core CPU, hyper-threading technology and high-quality engine. With Mac-style interface, work of getting movies off any encrypted DVD (Disney, Warner Bros, Paramount, etc) and into a modern format like DVD to MOV, MP4, WMV, MKV, AVI, MPEG4, H264, etc is pretty easy. According to MacWorld, this software ships with a range of popular profiles, covering iPhone 6S, iPad Pro, Samsung Galaxy S6, PS4, etc and takes less than 30 minute to rip a 96-min movie to H.264 with AAC with impressive quality, 5x faster than Handbrake. Step 1: Load the DVD file by tapping the DVD Disc button after you free download, install and run the Mac DVD ripper software. This tool frequently updates to cut through the copy protection on even the latest DVDs and it will automatically choose the right title for you during scanning. Step 2:Choose the output format from the pop-up window, after which you can do some parameter tweaking or video editing at your disposal. Step 3: Tap Browse button and press RUN to begin ripping DVD on Mac. Step 1: Add DVD movies. After downloaded and installed this Mac DVD Ripper on Mac OS X El Capitan, click “Load files” to add DVD movies to the software to rip on Mac. A. DVD full disc copy. Full disc copy allows you to keep the whole file structure in your DVD disc complete without any quality loss. Click the “Copy the entire disc” button to start DVD full disc copy. C. Rip DVD to any format like MKV/MP4/MOV/AVI. Press on “Format”. Here, you can see many profiles, like “Common Video”, “HD Video”, “3D Video” and some preset for popular devices. Search any one you need, like “H.264 MP4″format as the output format for its wide compatibility feature. Thanks to its user-oriented interface, advanced codec settings, solid decryption on DVD copy protections and special features like built-in video editor, 3D creator, Pavtube BDMagic for Mac is really worthy much of your attention. Magic DVD Ripper resembles Pavtube BDMagic for Mac with respect to its DVD decrypting ability, as it has a built-in CSS decrypter and allows to bypass region codes, thus you don’t worry about any copy protections put in place on commercial discs. 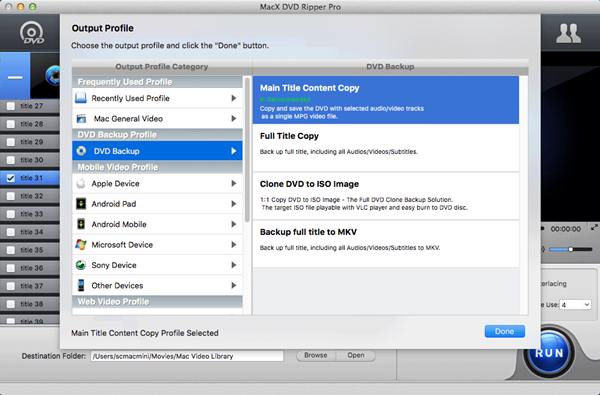 It features easy DVD backsups and file conversions that MacTheRipper doesn’t have. But this Mac DVD ripper doesn’t have a satisfying profiles compared with other commercial tools like MacX DVD Ripper Pro. So Magic DVD Ripper won’t be an alternative if you are looking for DVD ripper for a device-specific rips. Step 1: Get Magic DVD ripper downloaded and set up on your Mac computer. Step 2:Run the Mac DVD ripper, after which you can insert DVD disc to show the information. Step 3: Select audio, subtitle and angle based on your needs -> choose profile. Step 4: press RUN to rip DVD. Note: be sure to select the check box in the upper right corder for successful DVD ripping. 1. You cannot trim video, add watermark, etc. 2. It crashes sometimes on Mac OS X El Capitan. 3. The library of customization profiles is tiny compared to the competition. 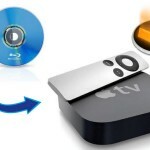 DVDFab DVD Ripper for Mac is an excellent software regarding to DVD conversion. 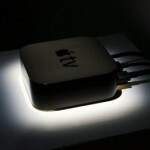 It has rich output library, either for iPad or Apple TV. 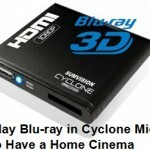 It even supports ripping DVD to 3D format as well. However, DVDFab users may have noticed that DVDFab has been down since March 11, 2014, due to DMCA reaction. But if you adhere to this software, you can go to dvdfab.cn to get the program as well. Step 1: Free download DVDFab on your Mac machine, set it up, and choose “Ripper” option. Step 2: Load the DVD disc or drap and drop ISO image into the program if you have an ISO image. Step 3: Choose the output format like MP4 from the profile library. Step 4: Do some settings like video codec, resolution, etc as you want. Step 4: Start DVD conversion with the Mac DVD ripper. Prism Video Converter Plus tops our best Mac DVD ripper list simply because of its simple and uncluttered interface that makes DVD rips and conversions pretty easy and straightforward. It supports all the mainstream formats such as Mp4, MOV and MKV as the output. On top of that, the end result of a DVD to MP4 conversion we’ve tested is as good as many other rippers in the market. By the way, it has the knack of optimizing your DVD rips for many mobile phones, tablets game consoles, etc and it’s up to you to adjust the technical parameter settings such as codec, bitrate, resolution, etc. Step 1: Free download Prism Video Converter Plus on Mac OS X, set it up, and run it. Step 2: Go to the main interface and click Add File or Add Folder or Add DVD button to load your DVD. Step 3: Choose the output folder to save the ripped DVD. Step 4: Choose the output format like MP4 in the output format drop down list. Step 5: Start DVD conversion by tapping the Convert button. 1.It sometimes cannot skirt the copy protections found on newly released DVDs, especially distributed by Disney. Finally, are you still seeking for more professional DVD ripper for macOS Sierra to backup and rip your DVD collections to the format of your choice, like DVD to MP4, MOV, FLV, MPEG, H.264, etc, so that you can store your DVD in safe from any damage or enjoy DVD movies on your portable devices on the go. We have showed Top 5 popular Mac DVD ripper software on 2017, just pick up the one which is the most suitable for you. BTW, Pavtube is the best one I have used before! Want to get Pavtube BDMagic for Mac at a 50% off discount, just join our Black Friday & Cyber Monday Crazy Promotion and more surprises are waiting for you.